Covering everything from Venice's iconic Grand Canal to enchanting Verona, and the impressive peaks of the Dolomites to pretty Lake Garda, this travel guide is packed with itinerary suggestions, restaurant recommendations, and handpicked hotels. Filled with beautiful illustrations, useful maps, and colorful images, this guide will help you find your way effortlessly around Venice and the Veneto. 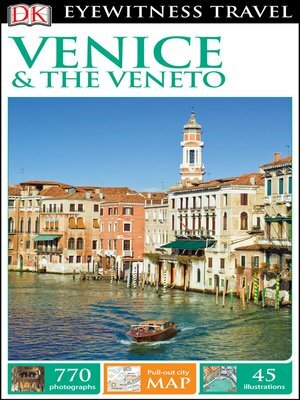 DK Eyewitness Travel Guide: Venice & The Veneto is the perfect companion for an exploration of this idyllic part of Italy. With hundreds of full-color photographs, hand-drawn illustrations, and custom maps that illuminate every page, DK Eyewitness Travel Guide: Venice & The Veneto truly shows you this city as no one else can.